Santa is making a list, and he doesn't need to check it twice to know that these animals are getting nothing but coal this year. 3. If the cat doesn't get pie, no one gets pie. 4. Caught in the act! 5. Someone's rap sheet just got a little longer. 6. "Why? Because screw you, that's why." 7. 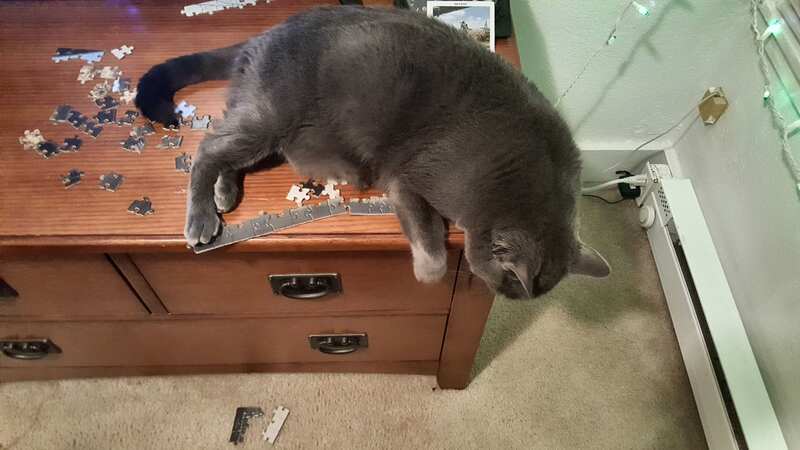 "Maybe next time you'll think twice before putting your puzzle on my dresser." 8. They were trying to order a pizza. 9. Bad Timmy! Very bad! 11. Yeah, fratricide will definitely get you on the naughty list. 13. This anteater needs a serious attitude adjustment. 14. Classic example of schoolyard bullying. 16. "What do you expect? I'm a dog." 17. This year's Naughty List MVP. Are you ready for more misbehaving animals? Scroll through this list of pets who have serious misgivings about meeting Santa and then check out this gallery of animals who are already on the naughty list.